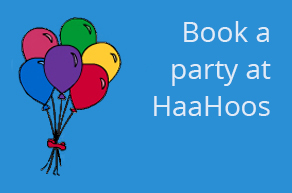 Fantastic fun to be had at HaaHoos this Feb half term! Pottery painting printed design plates! As well as all our usual fantastic range of pottery items to choose from, this half term we are introducing our printed design plates! 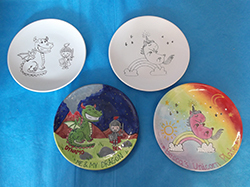 These are plates that already have a creative outline printed onto them so that all you (or the children) have to do is colour it in with the pottery paints, in your own creative style. To get things started, we’ve gone for a fabulous Rainbow Unicorn design and a Dragon and Knight design! Booking for any activity during half term is recommended and if you’re interested in painting the new printed design plates please let us know when you make your booking! We’re running four fantastic Play with Clay sessions during half term where kids (and adults!) can have a go at creating and painting their own clay masterpiece from scratch. £12.50 per person (if you book a table before Friday 15th Feb), £15 per person otherwise. We have loads of great examples for inspiration, tools and equipment to use and our staff will be able to guide you through a range of clay building techniques. Check out our Facebook page for some of the pieces painted during previous Play with Clay sessions. You can book a table for any time during the session times. Most groups tend to spend around 2 hours creating and painting their clay masterpieces. Booking is recommended. 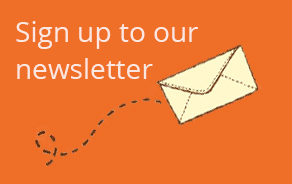 Call or email us to book your table now!